Shanghai: China´s ambitious drive to dominate next-generation 5G technology faces a sudden reality check as fears spread that telecom companies like Huawei could be proxies for Beijing´s intrusive security apparatus. Fifth-generation mobile communications are the next milestone in the digital revolution, bringing near-instantaneous connectivity and vast data capacity. They will enable the widespread adoption of futuristic technologies such as artificial intelligence and automated cars and factories -- advances China is desperate to lead. With 5G´s rollout expected to gain pace in coming years, the race to dominate standards and control security and data traffic underpins much of the current high-tech rivalry between the United States and China, technology experts said. Huawei´s status as a leading world supplier of the backbone equipment for telecoms systems -- mostly in developing markets -- gives China an inside track. But analysts said mounting concern over Huawei imperils that lead. 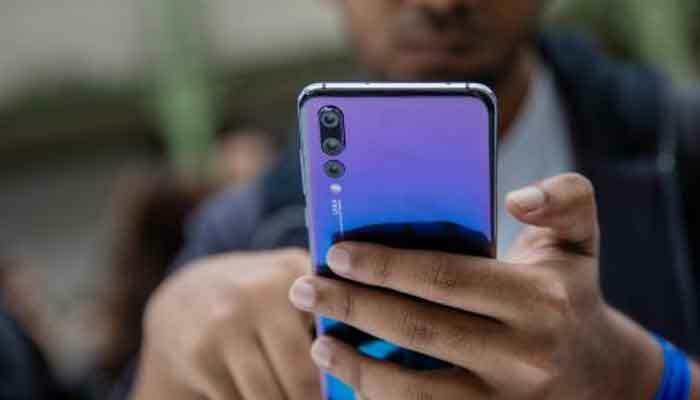 "This is a big threat because if Huawei loses access to lucrative Western markets, this will impact its ability to grow and finance R&D," said Paul Triolo, a global technology policy expert with risk consultancy Eurasia Group. It also could hinder the deployment of 5G networks in China, which are "a key piece of China´s overall effort to upgrade its industrial base", he added. The US defence establishment fears China´s dominance of critical 5G infrastructure could enable it to disrupt American military communications or otherwise wage asymmetrical warfare in a confrontation. Triolo warned of potentially disastrous fallout for China if US law-enforcement efforts -- in the spotlight after the arrest of Huawei executive Meng Wanzhou in Canada -- result in a ban on sales of US chips and other vital technology to Huawei. "This could be catastrophic for China´s tech ambitions, threatening (Huawei) itself, supporting industries, and future development," he said. New Zealand recently joined Australia and the US in essentially barring use of Huawei equipment in domestic networks. Following Meng´s arrest on December 1, similar sentiments have arisen from Tokyo to Brussels. On Monday, Kyodo news agency reported Japan´s top three telecom companies would forego equipment from Huawei and another big Chinese player, ZTE. US officials and lawmakers have long expressed concern that China could use its tech firms to steal trade secrets -- accusations Chinese foreign ministry spokesman Lu Kang dismissed on Monday as "ridiculous." "These people do not provide a single (piece of) evidence to show how Huawei affects their national security," Lu said. Distrust of Huawei stems in part from the background of founder Ren Zhengfei, a 74-year-old former People´s Liberation Army engineer. The US has already put the squeeze on ZTE, which faced insolvency earlier this year after the Trump administration temporarily banned American companies from selling it vital components. Huawei has secured many leading 5G patents and supplied networking equipment for telecom systems around the world that will inevitably carry huge amounts of US data, putting that information at potential risk. "One way to envision (the threat) is to imagine the person who built your house decides to burgle it," James Lewis, a technology policy expert at the Center for Strategic and International Studies, wrote in an analysis last week. "They know the layout, power system, access points, (and) may have kept a key." But US firms like Intel and Qualcomm produce the advanced chips critical for 5G, giving Washington huge sway over Huawei, which depends heavily on those technologies. If the US cuts off Huawei´s chip supply and further isolates the company, the blow "will be huge, bigger than ZTE", said Shi Yinhong, an expert on China-US relations at Beijing´s Renmin University. "If Huawei is hit hard, China will lose its 5G lead." China observers say President Xi Jinping´s more assertive global stance bears much of the blame for Huawei´s troubles. Late leader Deng Xiaoping famously observed that China´s strategy should be to "hide your strength, bide your time", to avoid triggering a crippling foreign backlash. But Xi has dumped that, accumulating one-man power, scrapping term limits and openly declaring China´s ambition to become a high-tech power. These moves have sparked alarm in the West, and the US has accused Chinese entities of massive cyber-attacks. "One of the biggest criticisms of Xi in China is: ´did he take the stage too fast, did he try to push Chinese power too soon?´" said Christopher Balding, a China expert at Fulbright University in Saigon. "He has behaved as near-totalitarian and is acting similarly internationally and people are saying ´we don´t like it.´"